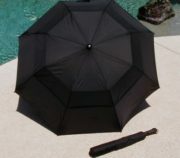 Designed by a soccer coach as a portable holder for large umbrellas. Hardened anchoring coil will easily penetrate hard-packed dirt. 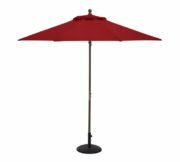 6″ base plate for umbrellas up to 6.5′ diameter . Accepts poles up to 1 5/8″ OD. 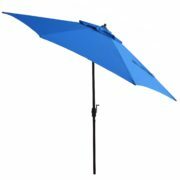 Also works great as a holder/anchor for many other items such as: flags, pets, and tiki torches. 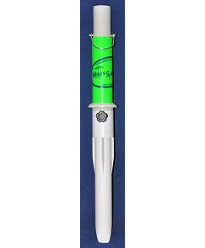 Use at the parks, ball fields and back yards. 21″ long; 4 lbs. Features an attractive and durable or white powder coat. 9″- base model for greater support $29.95. Now on sale for $24.95, you save $5 on the 9″ base model! SKU: 734. Categories: Beach Umbrella Anchors - For Dirt, Beach Umbrella Anchors & Holders.